Of Lennox’s contemporaries, all of whom shared unimaginable wealth during their decorated careers, much has been heard and written in the last twelve months. Their own insight informed and illuminated by the distance they now have from competition. The delusion and desperation of their late thirties belatedly succumbing to the perspective and wisdom most of us discover in middle-age. A Riddick Bowe interview, conducted by Matt Christie for Boxing News, revealed a wistful but ultimately sanguine Riddick Bowe. Historically, Bowe was often erratic, frustrated and apparently without direction. There was something comforting to find a sense of peace through Christie’s time with the former Heavyweight Champion following, as it did, so many shambolic and wasted years of weight gain, spousal abuse and ill-conceived comebacks. Of course, the phenomenon of a heavyweight champion fighting beyond his prime is not new. Preceding eras of Ali and way back even to Jack Johnson, who is recorded to have fought into the 1930s and to an age even Evander Holyfield has yet to arrive at, illustrate the problem is not new. Holyfield has become the poster boy for this sorry tale of lost fortunes and jaded comebacks. Where once he personified grit, dedication, spirit and sporting excellence, an image which spawned a Warrior clothing line through two decades of astonishing accomplishments, his name is now equally synonymous with bankruptcy, delusion and reality television. A sad parable for a man who generated income of somewhere between $300-500 million and beat Tyson, Foreman, Holmes and Moorer, to name just four, in an incredible career. Gratefully, it wasn’t the recent furore around Evander Holyfield’s views on homosexuality he naively chose to share on Celebrity Big Brother or the various regurgitations of Mike Tyson punches, pigeons and pharmaceuticals over the past few months that got me thinking about this. Now Don Rickles wont be a familiar name to many here in the UK beyond those who have seen Toy Story enough to recognise him as the voice of Mr Potato Head. To explain to the uninitiated; he is a legendary wise-cracking comedian and actor in America and I stumbled across a celebratory evening he was appearing in for his friend Frank Sinatra in 1979. Using the crowd as a stooge for many gags, Don noticed a venerable Joe Louis in the audience. Don didn’t extend sensitivity to any of the gathered luminaries, or indeed Frank himself, but couldn’t bring himself to mock the much revered and ultimately vulnerable old champion. Joe’s post boxing problems are well documented and an embarrassment to many of his generation for whom he was a hero. The sport of boxing has learnt little from Joe’s plight in the intervening years, fighters remain easily parted from their wealth and even those who reach the zenith continue to repeat many of the mistakes Joe did. With the alumni of the 1990s all but retired and required to shuffle around baring their soul for their supper we mustn’t begrudge a nod to the peace and respect Lewis carved for himself. In life, as he often did in the ring, Lewis always seemed to have that extra bit of wisdom. 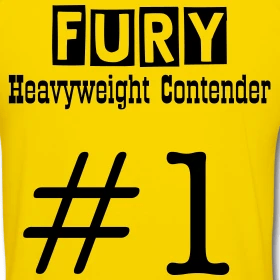 For a host of unique, unofficial, unendorsed tribute wear, made to order and shipped within 48 hours visit BoxingWriter Shopor click on the image. It’s sad that some of the greatest fall into such circumstances, where they have to do “whatever” it takes to continue with their lives.